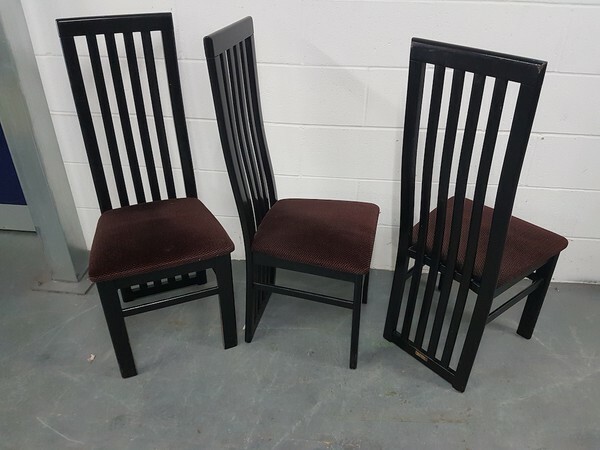 High back dining chairs in Black polished Beech frame with Sunbury crib 5 fabric upholstered seats. 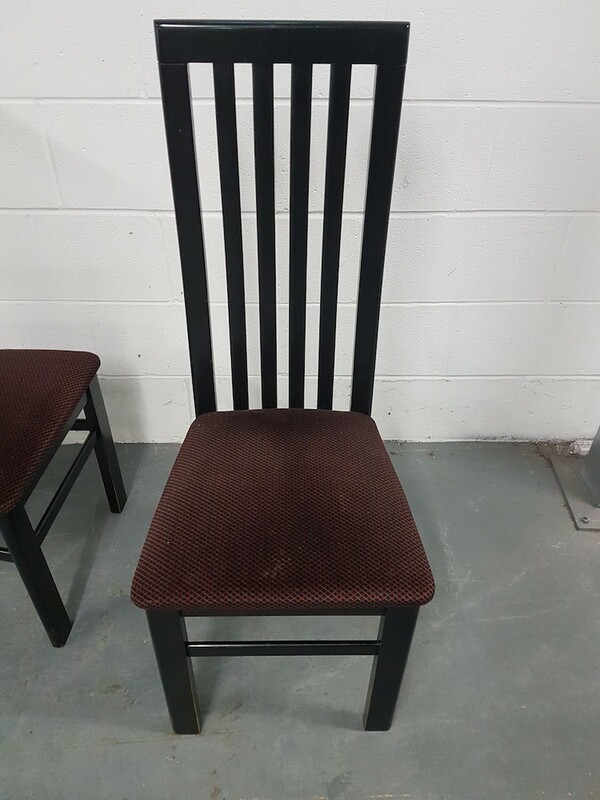 The chairs are structurally sound with no rips or tears to the upholstery. Viewing available by appointment at our 15,000 sq ft warehouse in Derby. Collection preferred but can quote for delivery with your post code.